In the year 1581, occultists John Dee and Edward Kelley, claimed to have received communications from angels, who provided them with the foundations of a language with which to communicate with ‘the other side’. This ‘angelic’ language contained its own alphabet, grammar and syntax, which they wrote down in journals. 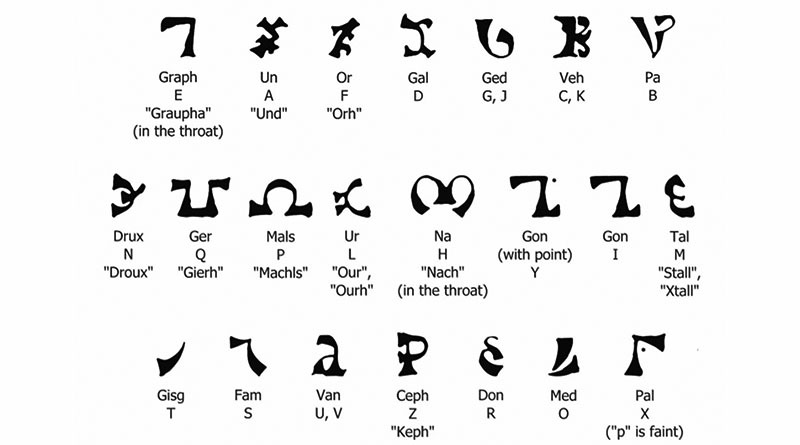 The new language was called “Enochian” and comes from John Dee’s assertion that the Biblical Patriarch Enoch had been the last human to know the language.